I wrote this article in 1990 and was reminded of it recently when I read Kelly Jensen's post, Five Great Questions I Was Asked as a Reference Librarian. 26 years later I can still see that 12 year old girl's face as she asked me the hardest question of my career. There is one occupational hazard in being a teacher librarian that I have never heard discussed in all the in-services I’ve attended since taking on this role six years ago. It’s this. Everybody expects you to know everything. Here are some questions I’ve been asked in my job as a junior high school librarian. I am NOT making these up. See what I mean about occupational hazard? I think I answered that question correctly, thanks to the help I got from the school psychologist. But the next time you ask your friendly neighborhood librarian a question, and she stops to think, be patient with her. Being the expert can be terrifying. I believe in teacher librarians. To listen to my recording of this post, click on the link below. I believe in teacher librarians. I am at the end of my career, having completed my degree in school librarianship post-retirement, so I have known plenty of tls. I am lucky to have had great role models in my time, but as a grandmother with two young boys soon to enter the school system, I find myself looking forward. What will Lucca and Cole find in their school libraries? Will there be someone there to feed their obsession for reading? Will someone help them navigate the new literacies so they learn, grow, and create online? Most important, will someone in their school libraries welcome, accept, and support them as they grow? Thinking about the tls I’ve met in this program, if their schools have professional teacher librarians, the answer to all these questions is yes. How do I know this? Because I know what teacher librarians do. Teacher librarians provide high quality print and online curricular resources. I believe in Rhonda, who provides her high school students not only with the latest and greatest digital resources, but also with a vibrant print collection including hard-to-find novels by Canadian First Nations writers. Teacher librarians build a collection and a space that encourages students to read and to learn. I believe in Lissa, who in one-half day of library time per week has transformed the dismal, discouraging library she inherited. Now she leads literacy in a warm and vibrant hub where her students and teachers love to read and work. Teacher librarians develop events and programs that promote reading. I believe in Joanie, who decided her students needed graphic novels as part of their reading experiences. She planned with her principal, sought expert advice, bought judiciously, solicited input from students, promoted creatively, and invited a knowledgeable guest speaker to her school. She also thoughtfully introduced her teachers to graphic novels. The results? More excitement about reading, and a wider variety of choices for student learning. Teacher librarians collaborate with teachers to integrate information literacy, inquiry, literature and technology into the curriculum. I believe in Amanda, who eagerly shares her knowledge of teaching reading and writing with her colleagues, and is continually improving her teaching. I believe in Renae, who as the information literacy leader in her school collaborates with her teachers to implement inquiry-based, information processing projects with all students. Her grade 7 class researched the impact of a proposed mine on a local salmon spawning stream, and used Web 2.0 tools to create an interactive presentation so they could share their concerns at a public forum. Teacher librarians serve on leadership teams to implement initiatives that improve student learning. I believe in Kelly, part of the literacy committee at her school, who gave copies of The Book Whisperer to all her language arts teachers, Now they are planning to implement free voluntary reading and book challenges in her school. I believe in Terri, who serves other teacher librarians as webmaster for the Alberta School Library Council. Teacher librarians use instructional technology to teach, to support reading, to facilitate learning and content creation, and to build a virtual library. I believe in Shelly, who reads fan fiction with her students and encourages them in writing their own. She helps them see themselves as both writers and readers. She envisions doing action research on using new technologies with students, both as a way to build their learning, and as a way to advocate for technology funding. I believe in Brenda, who welcomes a group of grade five boys to the library every day after school so they can chat with her about the books they are reading for her 40-book challenge or tell her a joke or debate which fast food fries are the best. With her colleague, Leslie, Brenda has 400 students recording what they read on their free voluntary reading web sites and discussing online what they read and recommend to others. One result is more student book requests in one year than in the previous eight combined. Teacher librarians promote reading for pleasure and free voluntary reading in school. I believe in Heather, who fought to eliminate scheduled book exchanges in favor of flexibility. Circulation dramatically increased, formerly reluctant teachers see the value of student choice, and students can get books when they need them. I believe in Jess, who builds relationships with her students by helping each of them find just the right book. She sees her reader’s advisory as time to get to know her students as they share their questions, their concerns, and their thoughts about the world in which they live. I believe in Anne, who loves the power of story and the insight her students’ stories give her into their lives. Her goal is to ensure that her students trust themselves as readers capable of making their own reading choices. Teacher librarians model lifelong learning and reading for pleasure. I believe in Deborah, the enabling adult and model expert reader. She shares with her students her love of literature and the idea that reading is fun. One of her great ideas is the book swap project that reinforces her effort to develop a school culture that celebrates reading and honours choice. I believe in Melissa, who takes such joy in getting to know every student in her school and passing on her passion for reading. For her reading is a social activity, nurtured by a community of readers. Teacher librarians involve parents in their children’s learning. I believe in Natasha, who sees parent education, involvement and collaboration in information literacy as a way to teach a whole community, not just its children. I believe that professional teacher librarians are indispensable to our 21st century learners. I fervently hope that as my two grandsons grow, they are lucky enough to have a teacher librarian in their school. To all the wonderful teacher librarians I have met in the TL-DL program, I want you to know that I believe in you. PLEASE NOTE: For a much expanded and updated version of this information, please go to Becoming and Being:Reflections on Teacher-Librarianship, pages 192-205. This is Part One in a series of three posts on this topic. Part Two looks at research literature; Part Three is a full literature review. How can a high school teacher-librarian ensure that the library is a student-centred safe haven that meets the needs of GLBTQ students? Imagine searching your school library for books about teachers, and finding that there were none. When you ask the librarian for a book on this topic, she gives you a dirty look, telling you that she doesn’t purchase “those books.” Students who overhear you talking to the librarian laugh at you, saying, “Wow, you want stuff about teachers. You must be one!” Soon the word spreads around the library, and everyone is looking at you, laughing, and making rude remarks. Then you use a library computer to search for information about teachers, but all of the sites are blocked, and you get in trouble for repeatedly trying to access banned sites. You leave the library with no information, no school network access, and the certainty that you are marked for more harassment. Welcome to the world of many GLBTQ teens. If this picture hits too close to home for you, there is help at hand. First, you can hear the real-life experiences, both good and bad, of GLBTQ teens in their high school libraries. Then you can review why and how the library should be the center of social change in schools. Recently there have been many examples in the media of bullying, harassment, and suicide of GLBTQ teens, and the professional literature provides a variety of suggestions on how to reach out to those you serve in your school, and how to make your library safer for them. In addition, there are many resources available to help you select appropriate print and non-print resources, and to determine what library services GLBTQ teens require to enable them to use these materials effectively. By implementing suggestions from the professional literature, every teacher-librarian can ensure that GLBTQ students have access to the information they need in their own school libraries. Anderson, S. B. (2005). What it means to be extreme: Understanding non-traditional teens: Gay, lesbian, bisexual, transgender, and questioning teens. In Extreme teens: Library services to nontraditional young adults (pp. 45-48). Westport, CT: Libraries Unlimited. Kenney, B. (2006). Do the right thing. School Library Journal, 52(1), 11. Flecker, M., & Gutteridge, L. (2008). Gay positive literature in libraries could save lives: The leadership role for teacher-librarians in social justice issues. Teaching Librarian, 15(2), 38-39. Levithan, D. (2004). Supporting gay teen literature. School Library Journal, 50(10), 44-45. Limited shelf life. (2010). School Library Journal, 56(7), 15-15. Whelan, D. L. (2006). Out and ignored: Why are so many school libraries reluctant to embrace gay teens? School Library Journal, 52(1), 46. Alexander, L. B, & Miselis, S. D. (2009). Hear the silent pleas of our gay youth. In G. Bush (Ed. ), Best of KQ Series: School library media programs in action: Civic engagement, social justice, and equity (pp. 31-33). Chicago, IL: American Association of School Librarians. Bush, G. (2006). Social action learning. School Library Media Activities Monthly, 22(7), 38-41. Martin, H. J., & Murdock, J. R. (2007). Serving lesbian, gay, bisexual, transgender, and questioning teens: A how-to-do-it manual for librarians. New York: Neal-Schuman. Rauch, E. W. (2010). GLBTQ collections are for every library serving teens! Voice of Youth Advocates, 33(3), 216-218. Schrader, A. M., & Wells, K. (2007). Challenging silence, challenging censorship: Inclusive resources, strategies and policy directives for addressing bisexual, gay, lesbian, trans-identified and two-spirited realities in school and public libraries. Ottawa: Canadian Teachers’ Federation. Schrader, A. M., & Wells, K. (2005). Queer perspectives on social responsibility in Canadian schools and libraries: Analysis and resources. School Libraries in Canada (17108535), 24(4), 12-45. Jones, J. (2004). Beyond the straight and narrow: Librarians can give gay teens the support they need. School Library Journal, 50(5), 45. Alexander, L. B., & Miselis, S. D. (2007). Barriers to GLBTQ collection development and strategies for overcoming them. Young Adult Library Services, 5(3), 43-49. Alexander, L., & Miselis, S. (2009). Hear the silent pleas of our gay youth. In G. Bush (Ed. ), Best of KQ Series: School library media programs in action: Civic engagement, social justice, and equity (pp. 31-33). Chicago, IL: American Association of School Librarians. Anderson, S. B. (2005). Outside the mainstream: Service to extreme teens – out and proud: Serving gay, lesbian, bisexual, transgender, and questioning teens. In Extreme teens: Library services to nontraditional young adults (pp. 89-90). Westport, CT: Libraries Unlimited. Gardes, T. (2008). Serving lesbian, gay, bisexual, transgendered, and questioning teens in your library media center. CSLA Journal, 32(1), 23-24. David Levithan draws on his experiences as a gay man, editor, and author of young adult gay fiction to urge teacher-librarians to include LGBTQ literature in collections. He applauds teacher-librarians who brave controversy and stand up for intellectual freedom so that students can safely sign out the resources they need, and includes specific examples of how to take a stand. The article includes examples of the power that the right book at the right time can have for those who too often feel isolated and vulnerable. Tim Gardes, a California district librarian, provides some disturbing research statistics that show why LGBTQ teens are less likely to graduate from high school. Gardes then points out that schools are legally required to improve conditions for these students. Since school libraries have traditionally served other minority groups well, they are certainly able to better the treatment of LGBTQ students. Gardes provides specific procedures to implement change, and stresses the positive effect on school climate that establishing a Gay Straight Alliance club had at one of his schools. This manual is an extensive guide that offers a wealth of material on issues, programming, services, and collections for LGBTQ teens. The authors include statistics from various studies that detail the shocking physical, emotional, and intellectual risks faced by these teens, and ways to help make libraries safe spaces for them. In addition to offering strategies for library staff to deal with possible challenges to LGBTQ content or programming, the manual details ways for librarians to connect with and actively involve LGBTQ teens in the library in visible, positive ways. In addition, the authors differentiate between strategies best suited to school libraries as opposed to public libraries. Alvin Schrader, Director of Research, University of Alberta Libraries, and Kristopher Wells, Chair of the Sexual Orientation and Gender Identity Sub-Committee of the Alberta Teachers’ Association’s Diversity, Equity, and Human Rights Committee, present a two-part manual with a Canadian perspective. Part I discusses the current situation regarding the lack of resources and services for GLBTQ youth, and provides “A Guide for Action in Library Policy and Practice” to help librarians improve collections and services. Part II of the book provides lists of annotated resources, including elementary, young adult, and professional books, as well as videos. Canadian titles are identified, and the authors intend to provide updated lists on the Canadian Teacher Federation web site. Debra Whelan, School Library Journal’s senior editor for news and features, shares statistics about the challenges, including a lack of resources in their school libraries, faced by GLBTQ teens. Whelan puts a human face on the statistics by interviewing students and librarians whose stories illustrate the issues. Whelan points out that although many librarians censor materials because they fear controversy, or personally believe these materials inappropriate, they risk breaking the law in doing so. She offers suggestions on how to build a GLBTQ collection, how to make these resources accessible to students, and how to network to enlist support. So Who ARE These Digital Natives? This slide show from PEW puts the concept of digital natives, born in 1990, in a historical context. I found some more labels for people in the digital landscape in an article titled Digital Denizens. I like these because they show that we all go through various stages in terms of integrating technology in our lives. The whole idea of degrees and styles of involvement in the digital experience of course makes perfect sense, but I like the term “digital multiculturalism” (Collier cites Prof. Henry Jenkins) much better than “digital melting pot.” Melting pot seems to imply to me that we all have to end up one bland mixture. How about “digital tapestry”, where our individual talents, expertise, and creativity are woven together, and each individual strand is worthy in and of itself, but made stronger, more beautiful, and more useful as part of the splendid whole? We as teachers see that our students are young people and individuals no matter their level of “digitality,” and who better than trained teachers to work towards meeting their needs right now. In “Who Are Today’s Learners?” (Learning & Leading with TechnologySeptember/October 2008) Christine Greenhow says, “As good teachers we always want to know who our students are and where they start from so that we can tap into, reinforce, build on, and extend their knowledge and experiences in learning new things.” She suggests we survey our students to find out their “out-of-school technology access, conditions, and use” and use strategies to “engage” (use technologies in creative and innovative ways) and “prepare” our students for the workplace where they will use social networking and other web 2.0 applications. We need to be vocal, focused leaders in our classrooms, our libraries, our administrators’ offices, our parent-teacher meetings, with our superintendents, and with our legislators to ensure the above are enacted. If we need further inspiration, I’d like to close with 10 year-old Dalton Sherman. Do you believe? Every weekend, Luis Soriano, a primary teacher in La Gloria, Colombia, loads a collection of his own books into the “Biblioburro” pouches on his donkey’s back, and travels to remote villages to bring reading to children. Ayoka, the not-for-profit organization that filmed the Biblioburro video, provides some background information. When Soriano was a child, his family fled local violence, moving to a city. Soriano not only found comfort in a library but had a teacher who encouraged him to read. When he became a teacher in his home town he discovered that most of his students couldn’t do their homework because they had no books at home, and so the Biblioburro was born. He and his wife, Diana, have built (mostly by hand) La Gloria’s first public library, where he can at last display and circulate his entire collection of books. So what does the Biblioburro have to do with a 21st century library, you ask? 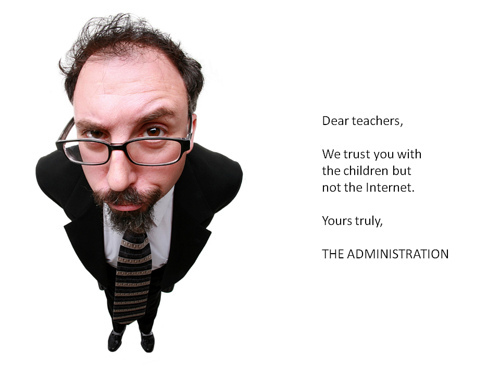 Aside from the obvious — many people know about the Biblioburro thanks to YouTube, and Twitter — there is food for thought here for teacher librarians looking at harnessing the power of Web 2.0 for their schools. I re-discovered the Biblioburro thanks to an LM_Net post that arrived as I was reading the rather intimidating issue of School Libraries Worldwide – Volume 14 Number 2, July 2008. The theme of this issue is New Learners, New Literacies, New Libraries. The issue explores the ramifications of web 2.0, and the urgency of the need for change to accommodate today’s learners. School librarians need to demonstrate leadership 21st century skills, or risk being left behind. In these days of budget cuts and standardized testing, revamping our practice, our libraries, and our schools is certainly not an easy task for most of us. It isn’t enough just to use a few web 2.0 tools in the library; this is actually a dramatic shift involving one’s entire school. Joyce Valenza’s Manifesto for 21st Century School Librarians, a living, evolving, wiki, provides a blueprint for tls looking for specific ways to upgrade their practice. In every area of librarianship, ranging from Reading to the Digital School Library and the Information Landscape to Access, Equity, Advocacy to Digital Citizenship, and much more, the wiki provides specific, hyperlinked criteria for using web 2.0 to meet the needs of your stakeholders 24/7. I have felt rather overwhelmed by the fact that I have a ways to go to achieve 21st century librarian status, but when I look at what Luis Soriano has accomplished, I feel ashamed. If Luis Soriano can survive guerrilla warfare, displacement, and being held hostage by bandits to empower his students, then surely, with the expert assistance I’ve described, I can empower mine as a 21st century librarian. Last week we arrived home late in the afternoon after a brief rain storm, and as we got out of the car we saw our willow tree bathed in gold. My husband dashed in the house to get his camera, and took a dozen shots of it. This beautiful tree is old, much older than our house, and an arborist with the city recently told us that it has the biggest trunk of any tree in Edmonton. It’s so big that it’s impossible to take a photograph of the whole tree. Its branches have been bent and broken by the wind, and shaped by many human hands over the years. 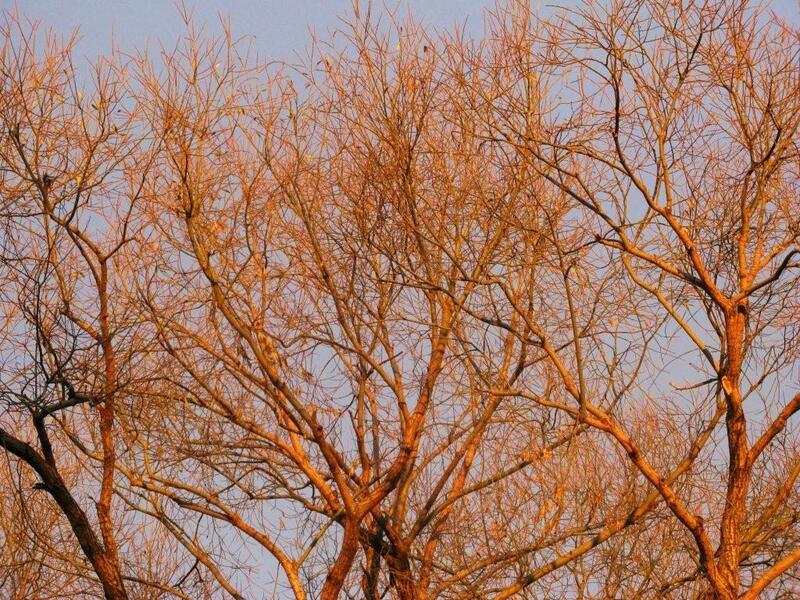 As I was planning this entry on blogs as professional development, it occurred to me that trying to capture the variety and breadth of blogs useful to teachers and teacher-librarians is like trying to photograph the intricate network of our tree. It’s just not possible to capture it all. What I’ve decided to do is take a few snapshots from different angles to share some of the power of the blog network. Online chat, debate and reflective practice. Students to share their personal stories. Scott Leslie, an educational technology researcher and emerging technology analyst, and a prolific blogger himself, has created a matrix of uses for Web logs in education. These are divided into instructors and students reading and writing blogs. Among others, instructors’ uses include reading subject-specific blogs to keep up with current practice, and writing blogs as instruction for students or as networking with colleagues. Tony Lowe has created a Drag and Drop version of the matrix to which you can add your own descriptors, a wonderful tool to use in a workshop on blogging with teachers. In her eloquent article, Becoming Teacher Librarian 2.0, Anita Brooks Kirkland discusses the responsibility of teacher librarians in ensuring the early adoption of web 2.0 in schools. This includes using blogging. Explore: Teacher-librarians must “Subscribe to, and follow the blogs of leading thinkers in the school library world and the wider library world to engage in the conversation about these issues.” She provides a list of some of these. Exploit professional learning opportunities: “More and more professional learning opportunities are accessible to us when and where we need them, especially where face-to-face learning is inaccessible.” Many conferences now are offered online and/or are blogged as they occur and afterwards. Consider the implications: “We need to engage in professional conversation about these issues and collaborate on developing the solutions.” Reading, writing, and commenting on blogs are ways to participate in these discussions. Engage: It is essential that t-ls learn about and daily use the new technologies, including blogging, to support their programs. There are many ways to find useful blogs, in addition to searching, not including using Google blog search. These include checking the blog rolls, or lists of blogs, on blogs written by people you respect and whose work you follow. You can also find blogs on web sites such as Edutopia and Education World, or on sites for professional journals such as Teacher Magazine. Conferences often have blogs as part of their web sites, such as the recent K-12 Online Conference. The Edublog Awards provides a wide assortment of blog links, giving 15 awards, including 7 different types of educational blogs. While the 2008 winners have not yet been announced, you can view the 2007 winners as well as the top nominees. You can also look back at previous winners. Here is a plethora of educators writing about all aspects of education, from the district administrators’ standpoint to the university academician to the classroom teacher to the teacher librarian, and all areas in between. In addition, in the Awards blog you can find blogs that people think should have been nominated but weren’t. Impact as A 21st-Century Library Media Specialist, by Peggy Milam Creighton, discusses many expert professionals in the field. This article is a superb source of information about how these “exemplary library media specialists” work to improve their practice and share their expertise. Check the many links to find blogs (as well as other resources such as wikis and nings) created by these movers and shakers. The most useful resource for me as a teacher librarian has been the list serv LM_Net, (read Doug Johnson’s post on LM_Net here – he calls it the “original Read/Write web”) which has been graced over the years by postings from Peter Milbury, Mike Eisenberg Joyce Valenza, Doug Johnson, Shonda Brisco, Barbara Braxton, Gary Price, and many, many others. When I began to look for blogs to follow, I started with looking for blogs by these experts I already knew. Then I looked at the blogs they read, and expanded my repertoire. Of course our instructor, Joyce de Groot, and Will Richardson, author of our textbook, Blogs, Wikis, Podcasts and Other Powerful Web Tools for Classrooms, have expanded my horizons exponentially. In addition, a major joy of taking the Web 2.0 course is the wealth of new material – and new-to-me blogs – shared by my classmates. Thank you to you all for this! You can see a selected list of the 40+ blogs I follow below, and in the blog roll to the left of this post. As I was thinking about this week’s post on using RSS feeds and aggregators, I kept coming back to the same idea: information overload. Since I first investigated using RSS feeds early in October, and then began using Diigo, I have become more efficient in terms of finding and storing information. I still experience overload. But is that necessarily a bad thing? Or is it a necessary part of learning in the 21st century? In his post Arina goes on to say that although information overload makes you anxious, it gives you the opportunity to see patterns develop and form connections. This idea brings me back to the importance of refining and personalizing the information I expose myself to. I am beginning to think that RSS feeds and aggregators are the essential tool of Web 2.0 and 21st century learning, and 10 weeks ago I didn’t even know what they were! I think back to my 100+ colleagues, and the 2000+ studentsin my high school, and I wonder if any of them are using these even now. 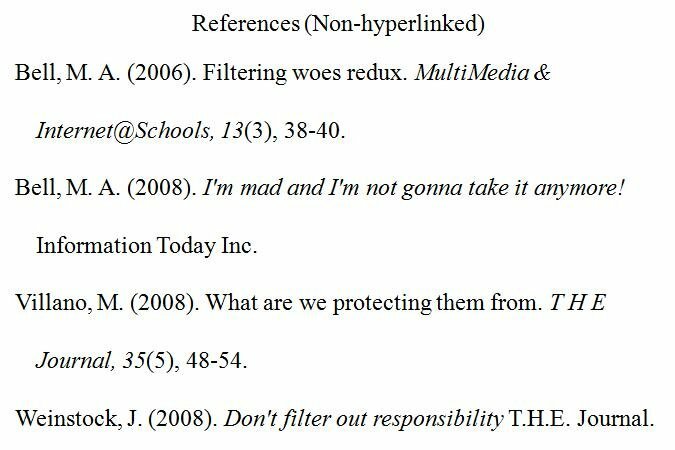 Johnson lists several other uses, including Google News searches, and “reputation monitoring.” He set up feeds to monitor Delicious and Technorati to see who has commented on or bookmarked his posts. Cool idea! Perhaps some day I’ll have made enough Footprints in the Digital Age (Will Richardson’s article) that I’ll need to do this! Yes, and another great deal is that through a link to Johnson’s The top 10 things you should know about RSS feed aggregators I discovered his wiki, where he post resources from his workshops. So now I’m even more convinced that RSS feeds can help me effectively manage information overload. How might I use them with students? With colleagues? In Bandwidth Backup: Saving Students Time Online, Chris O’Neal suggests that when your students log in within the school, if their default school home page is the typical public-face-of the-school-for-the-community-and-parents one, change it to one “immediately useful to your students.” While I was unable to do this in my library last year due to administrative rules, the idea seems so obvious that I have already emailed my replacement teacher-librarian and our computer tech to suggest ways of doing this, and to volunteer lobbying aid on their behalf. Joyve Valenza has given me some ideas on what might really be useful as a start page, and she of course includes RSS feeds. Dennis O’Connor posted an interview with her on The Keyword Blog: Joyce Valenza -21st Century Research Skills! This would work beautifully with various groups of students in my school. Our International Baccalaureate students write various essays on individual research topics, including extended essays, internal assessments, and a world literature paper. They could create an iGoogle page that could be adapted for each assignment, including shifting links from our various online databases and E-Books, as well as RSS feeds for Google alerts for searches on their individual topics, and much more. In various posts on her blog, NeverEndingSearch, Joyce Valenza discusses using iGoogle (Creating 2.0-style textbooks?) to have students create their own and shared content, as well as using PageFlakes (PageFlakes as Current Events Pathfinders) to create start pages with common content. She shares samples at http://www.pageflakes.com/joyce_valenza/. Each page contains a variety of RSS feeds that pull content appropriate to the page, as well as links to associated library resources. Click on the tabs at the top of the page to see the five different pages. Joyve has shared. In terms of the overload concept, Richard Byrne makes an excellent point in 34 ways to use RSS, the November 12, 2008, post on the amazing Free Technology for Teachers blog. He suggests that students track content through feeds in an RSS reader rather than going to the actual web sites, as there will be fewer distractions from advertising using a reader. Now that’s cutting back on the hammering! Much of what I can do with students I would also do with my colleagues. But there’s so much more. As I write, I keep thinking how I used to hammer my teachers with email. I was very proud that I was keeping them up-to-date with curriculum-related resources targeted to the units they were teaching. Last year I created a wiki of web resources for our science teachers and was emailing them when I added sites. How much easier for them and for me if I showed them how to save an RSS feed for the page. That way those who are interested will get the content they want and everyone’s’ inbox is lightened! Another amazing wiki, WebTools4u2use, has a plethora of tips and suggestion for using RSS. I must admit I had never thought of subscribing to the hundreds of electronic journals with RSS feeds. Another suggestion is to add feeds from your public library to your library web site; to this blog I added a feed from the Coutts Education Library at my own University of Alberta (it’s in the left tool bar). WebTools4u2use also links to Dr. Charles Best Secondary School Library in Coquitlam, BC, as an exemplar of the use of RSS feeds in education. I would use the library’s page NEWS FOR THE CLASSROOM in an in-service with my staff on using RSS with students. The page not only provides links to news feeds in 15 different subject areas, but the page itself (an every page on the web site) has its own feed. Talk about an impressive library web site! Sounds like someone else is working on personalizing our information overload. This looks like required reading to me. How about you? Last weekend I took a break from working on this week’s blog post on social networking. I went to visit my niece, and when I arrived, my seven-year-old grandniece, Lauren, closely supervised by her mother, was on the computer. 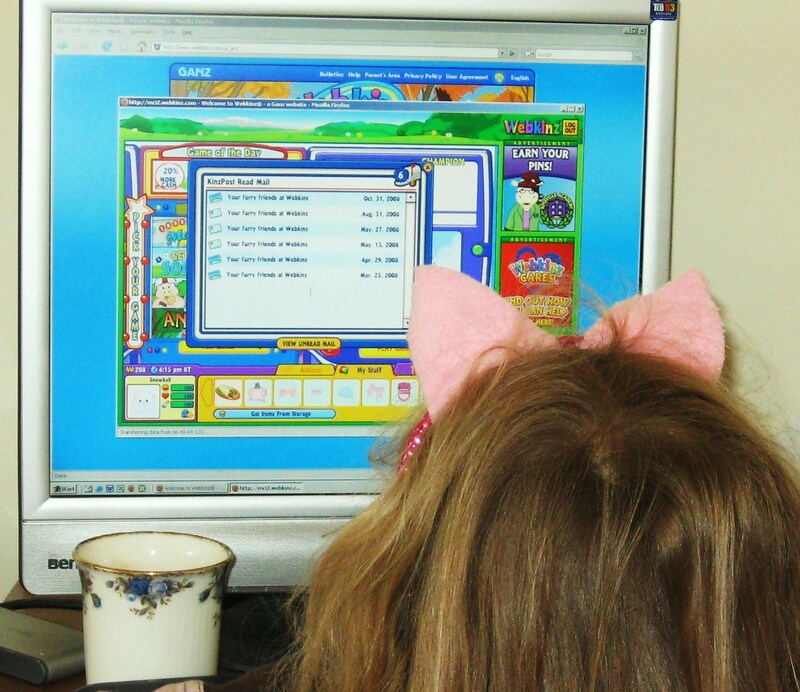 She was busy checking her email at Webkinz, a social-networking site aimed at kids. Coincidence? I think not. Somehow fate knew I needed a cute photo (including pink kitten ears) to illustrate this week’s post. I chatted with my grandniece about the site. She showed me the virtual room she has built for her various stuffed toys, and the games she likes best. As of yet, she isn’t chatting with other members, but that is available, although in a highly-structured, highly controlled way. Even though it costs $5.95 a month to join, Club Penguin is one of the top 10 social networking sites in the USA, so obviously children enjoy it, and parents are willing to pay for it. Abrams point out that children using these highly commercial social networking sites, while carefully protected in a highly secure environment, are vulnerable to their pressure. We as teacher librarians, Abrams says, have a teachable moment here. These two sites are highly ethical, but other networking sites work at collecting lots of data from their users. While we teach children about themselves and their place in the world, we can also teach them about online safety. Another site for children, Imbee.com, a free social networking site centred on science, requires that users be registered by parents whose identity is verified by a credit card, or by a teacher as part of a class. While these sites are as safe as technology can make them, the article goes on to point out that it is essential that students be taught to be aware of online hazards such as identity theft and phishing scams, as well as online predators. I was appalled to read here that identity theft involving children under 18 doubled from 2004 to 2005. Schools need to take the initiative in teaching students how to network safely. developing an understanding of how people live and think in all parts of the world. Googling Our Kids – Will Lauren Measure Up? In Footprints in the Digital Age, Will Richardson muses on the impact of social networking on our children’s futures. “In the Web 2.0 world, self-directed learners must be adept at building and sustaining networks.” He signed up his children, aged seven and nine, on Club Penguin to get them started with social networks. Richardson points out that we as teachers are likely being Googled frequently even now, and are judged on our digital footprint. “It’s a consequence of the new Web 2.0 world that these digital footprints-the online portfolios of who we are, what we do, and by association, what we know-are becoming increasingly woven into the fabric of almost every aspect of our lives.” How much more important will this become for our children in the Web 2.0 culture, where creating content is becoming commonplace and expected. Richardson states, “One of the biggest challenges educators face right now is figuring out how to help students create, navigate, and grow the powerful, individualized networks of learning that bloom on the Web and helping them do this effectively, ethically, and safely.” Rather than just sharing information to be read, we should be teaching students to share information to engage an audience. Richardson cites the blog “Twenty-Five Days to Make a Difference” (http://twentyfivedays.wordpress.com), created by 10-year old Laura Stockman. Her sharing of her plan to do one good deed per day has engaged readers from around the world, and resulted in thousands of dollars raised in cash and kind for charity. Of course, in order to help students learn to network effectively, we as teachers need to master the technology and the techniques of networking, and to have our students see us doing this. Next weekend I’ll be heading back to spend some time online with Lauren.